Whoever wins the next election, the time has come to take action against the dire shortage of affordable housing in this nation, writes Chris Middendorp, manager Sacred Heart Central. I’m asking you to make a commitment to significant public housing investment: specifically, that you to make a pledge to instigate a federal initiative that will build 36,000 dwellings a year for the next 20 years. We know there’s a current housing shortfall of approximately 500,000 affordable social housing units in Australia and the problem is spiralling. Social housing is public, government-owned stock and community-owned or managed housing stock. Labor PM Mr Rudd called homelessness a “national obscenity” back in 2008 and set ambitious targets to halve homelessness. But all the leadership changes and the dark shadows cast by realpolitik led to homelessness increasing by 14 per cent and rising like a flooding river. Labor must recommit to practical, long-term solutions. If we don’t act – if we continue to leave housing supply to the marketplace – affordable stock will diminish further, rents will continue to soar and housing access for a significant percentage of our population will recede into the unreachable distance. How many children do you want to see sleeping in city doorways? Mr Morrison, as the current leader of our country you have memorably said this should be a land of “a fair go for those who have a go”. Mr Shorten, you have launched your Fair Go action plan. But surely you can’t have a fair go if you don’t have a home? Here sirs, is your opportunity to help preserve the egalitarian society you are so rightly proud of and put the meaning back into “fair go”, an expression which has become a shop-soiled cliché. 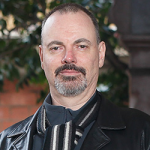 About the author: Chris Middendorp is the manager at Sacred Heart Central, an open access service in St Kilda. He has worked in homelessness services for 30 years and written extensively for Australian newspapers and magazines on social justice and cultural matters.